Wow! 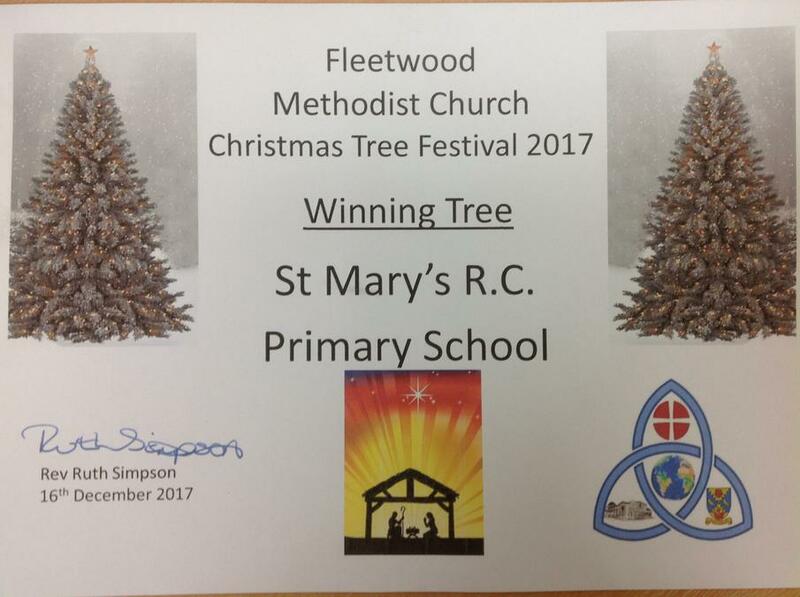 Congratulations to all of the children who contributed to our beautiful Christmas tree entry this year for the Trinity Christmas Tree Festival Competition. 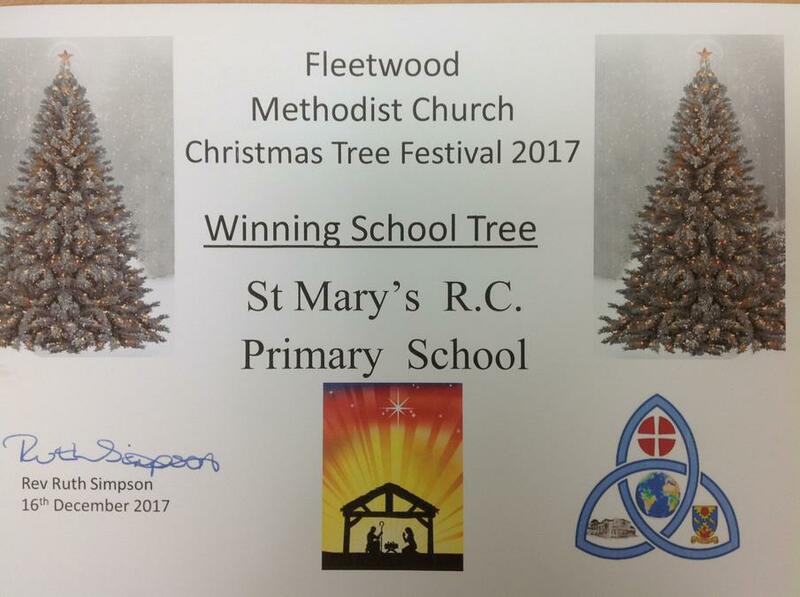 Mrs Kowalska went along to the award ceremony and was very pleasantly surprised to be awarded with the Mollie Cooke Trophy for the overall Winning Tree and the Fleetwood Museum Trust Shield for the best entry by a school or youth group. 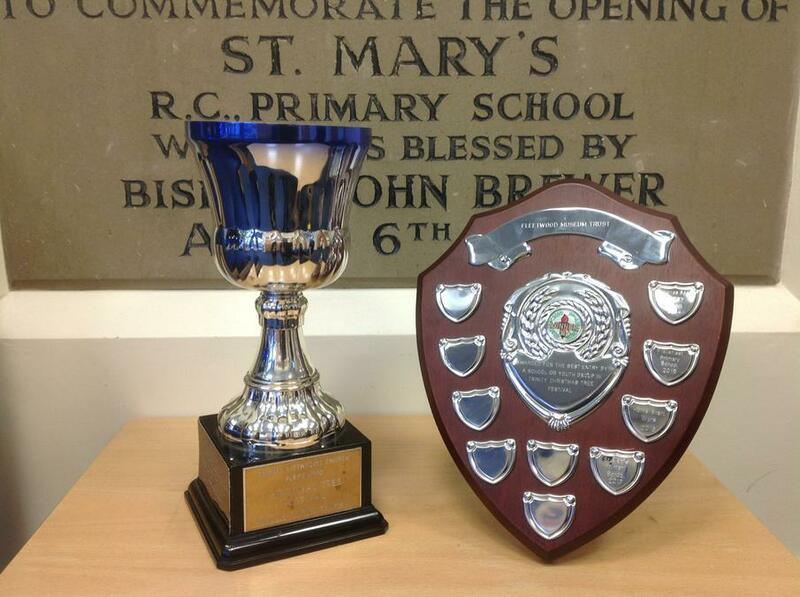 In addition to this, our school will be awarded an amount of money for us to donate to a charity of our choice. A big thank you has to go to Karen Thomas, one of our parents, a member of staff and a school Governor - for co-ordinating the whole project from initial idea to final presentation. Thank you Karen from all of the children and the rest of the St Mary's team. 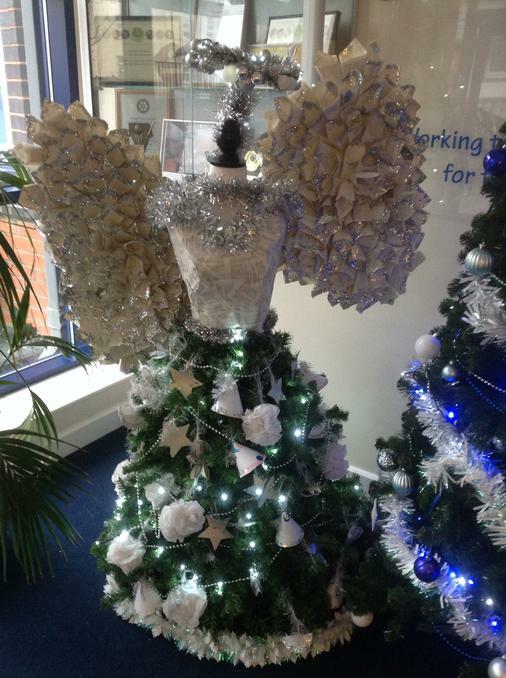 The wonderful Christmas tree is currently on display in the school foyer - complete with lights!